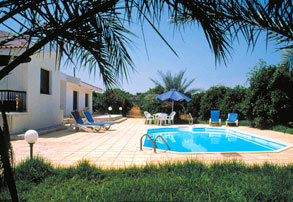 3 Bedroom villa with a private swimming pool in Latchi, near Polis. Villa Mandora is the perfect rural retreat for those seeking to escape to the peace & quiet of the countryside without being too far from local amenities. Open-plan lounge. Fully Equipped Kitchen: Fridge/Freezer, cooker/oven, washing machine, toaster, kettle etc. There is also a TV. Views of the orange groves situated around the villa. DISTANCES Restaurants, taverns, bars & shops near the harbour of Latchi just a few minutes drive away. Extras A "Cat A" car hire vehicle is included in the price of the Villa.